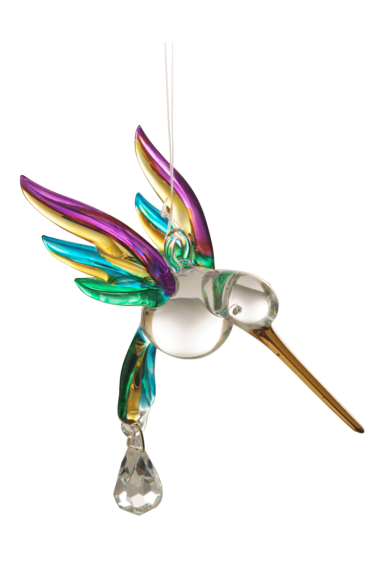 A hand blown, hand painted Fantasy Glass Hummingbird. Painted in vibrant Tropical colours, with a 24 carat gold hand painted bill and a Swarovski crystal drop. Each hummingbird comes individually packaged in an illustrated and recycled cardboard box. A hummingbird’s maximum forward flight speed is 30 miles per hour, and they can reach up to 60 miles per hour in a dive.